The inside – how many things in a row can you find? I have eight things in a row. The seats in a row. Look up at the ceiling for things in a row. The Prayer and Psalm books ready for the faithful. A selection of chairs in various poses. Did you have a favourite? I love seeing the results of other peoples after and befores on Lost in Translation. This photo challenge allows a bit of creativity as well. This time I have chosen a photo that I was thinking of taking in black and white at the time but didn’t for some reason. Now is my chance to see it as I saw it in a church in Dijon. I love the idea of Simple Things. I am so glad that you enjoyed my little bit of Italy. 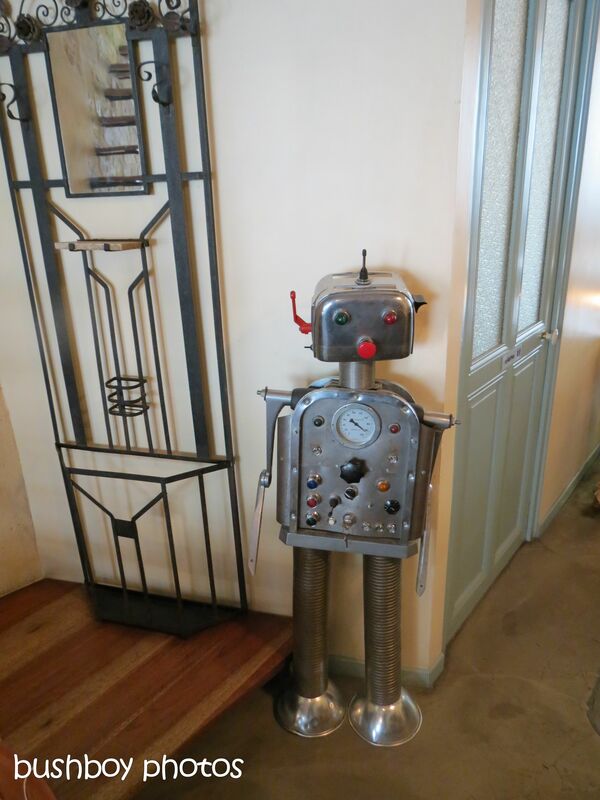 Here is some bits and pieces I found in France – Marseilles and Avignon. Paris may come later. 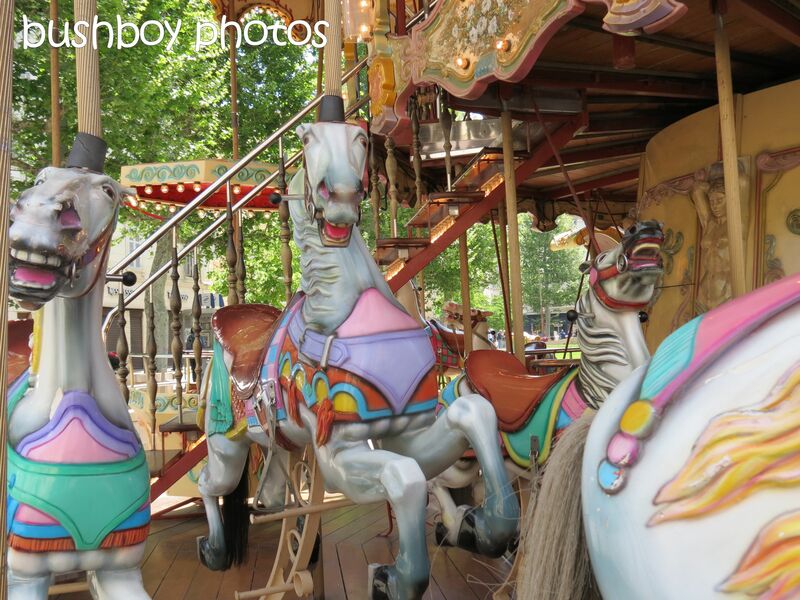 I loved this carousel in Marseilles. It was in a square with people just milling around. The sound of the carousel certainly attracted us down that street. In the square where we had lunch was this sign on the wall. I like this type of art, almost pop art? Another blog I should write is one on the doors of Europe. I had this obsession to photograph doors of all sizes, materials and colours. Of course many of these doors have a door knocker. This lion looks a bit fierce. 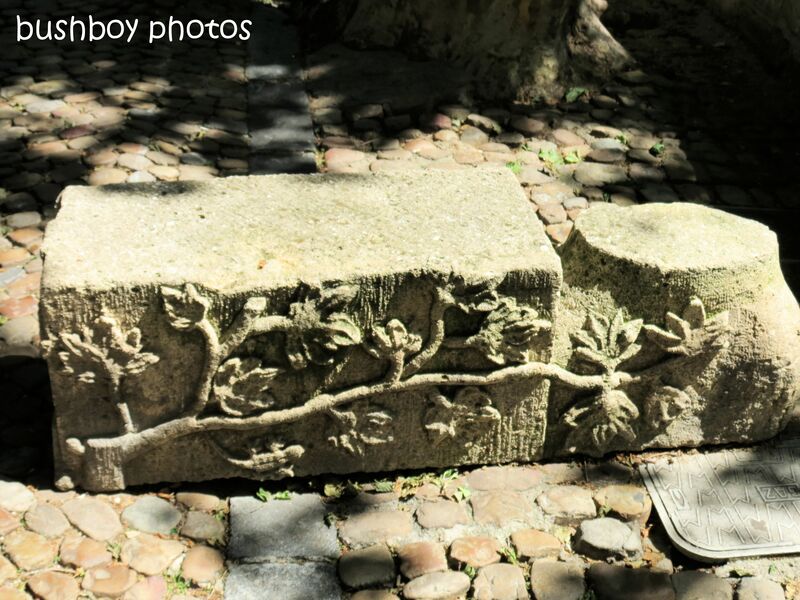 In Avignon there seemed to be stones on the streets especially in the back streets of the old town. I wonder what building these came from? In the Palaise de Papas, in Avignon, these tiles were in a section where the tiles were just on tables and some other rooms the tiles were still on the floor. 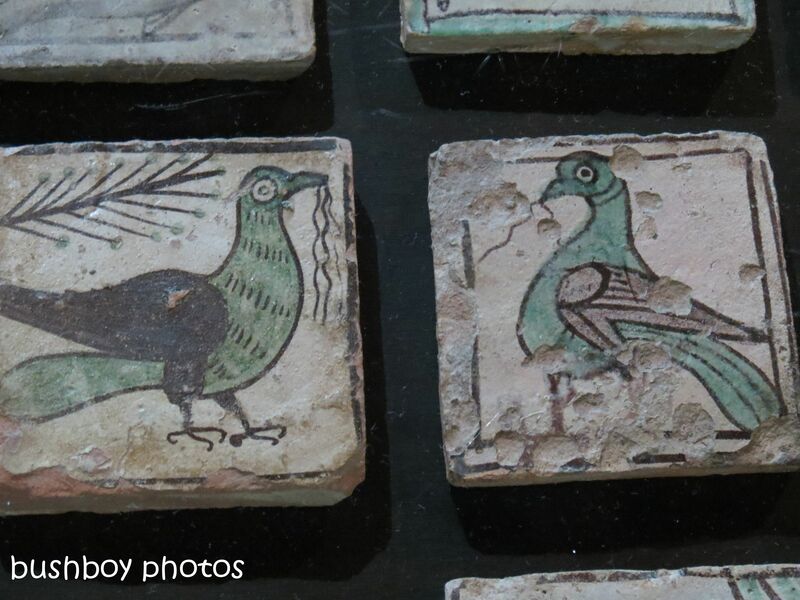 I wonder why I photographed these tiles….. In many of the churches were frescos. It amazed me to think that these were painted centuries ago. 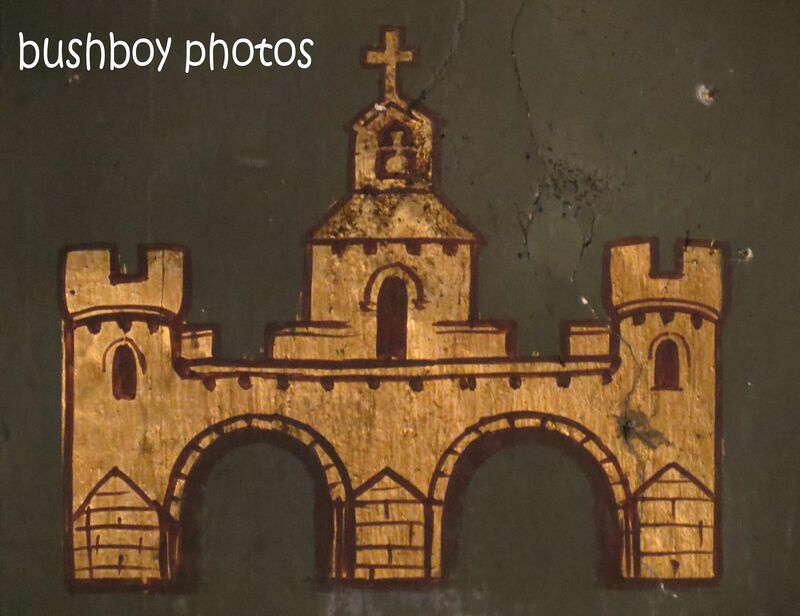 I loved the colours of this castle fresco. I had to include another stained glass. 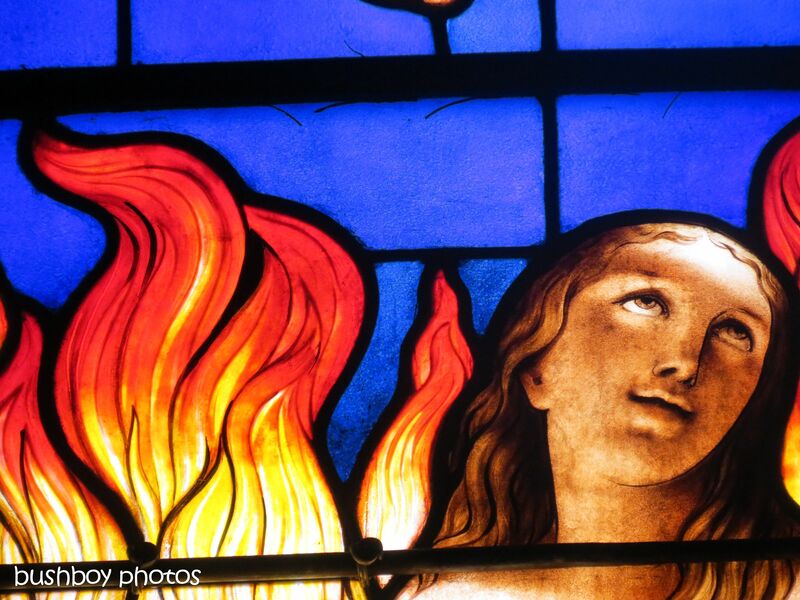 This time a close up of the intricate fire stained glass with such a stunning blue background. 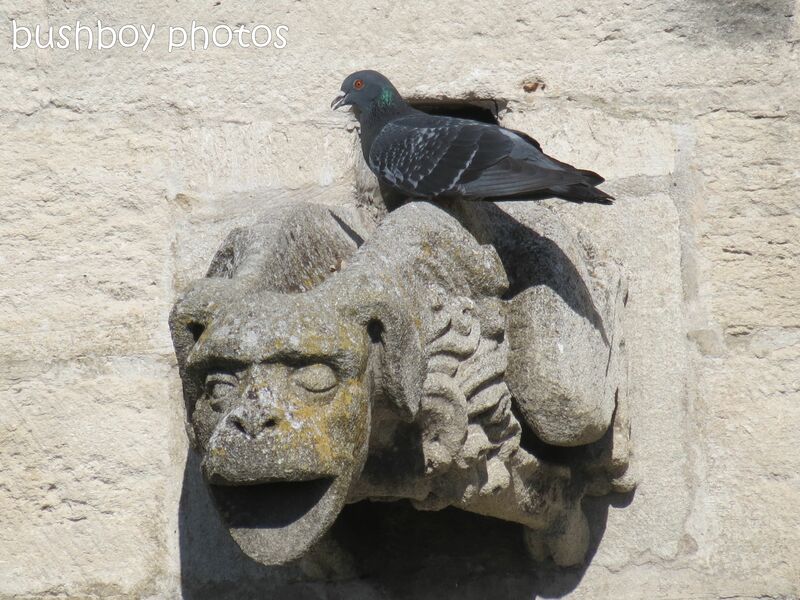 The Palaise de Papas had many many gargoyles but not many had a pigeon. I think it had a nest behind there. We found this fabulous cafe in Avignon,a libraire cafe L’Ami Voyage en Compagnie which had the most wonderful food with fantastic features.The tables were quite readable, the chairs wrapped in paper and string. 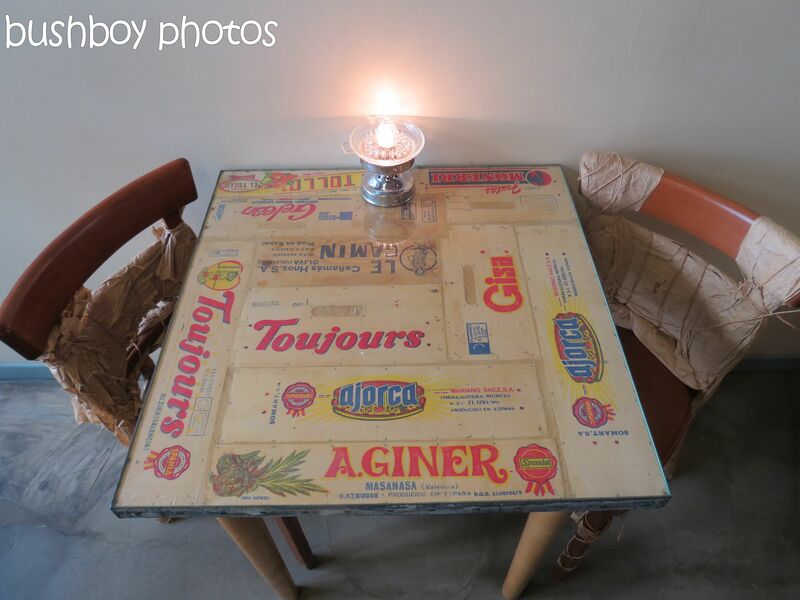 The table light is great don’t you think? Guarding the stairs was this little bloke. Upstairs was a little library. The best cafe in Avignon.